Ralf at SIP Scootershop sent me the following regarding SIP’s new brake shoes - knowing the amount of stopping distance I apply when riding my 1974 Vespa, these may be better for stopping me in my tracks! “A modern, softer brake shoe frictional material providing deceleration – for the original drum brakes fitted to vintage scooter models. Vintage scooters are mostly equipped, with only a few exceptions, with drum brakes. More modern vehicles come fitted with disc brakes, as drum brakes are considered inadequate for modern road conditions. Effective braking however is not only important for faster or more powerful forms of transport; the health of the rider and other road-users can also depend on good brakes, even when travelling at lower speeds. We have decided to upgrade the original braking systems with the introduction of two new product lines. The SIP Premium and the SIP Performance enable immense improvement of the scooters braking values, with the assistance of softer frictional materials. This also dramatically upgrades rider safety, without having to add components that compromise the appearance of your vintage scooter. The SIP Premium brake shoes are coated with a relatively soft frictional material, especially when compared to the originals. This special material has higher frictional values and enables an improved deceleration. Alongside the softer consistency, they are also more resistant to fading at the high temperatures attained during use. These brake shoes remain effective and reliable, even during long mountain-pass descents, when compared to standard types. They also show a good relative wear to braking performance ratio. Softer brake shoe material wears slightly quicker than the harder types. In practice though the material on original brake shoes lasts so long that they require replacement due to ageing, rather than wear. 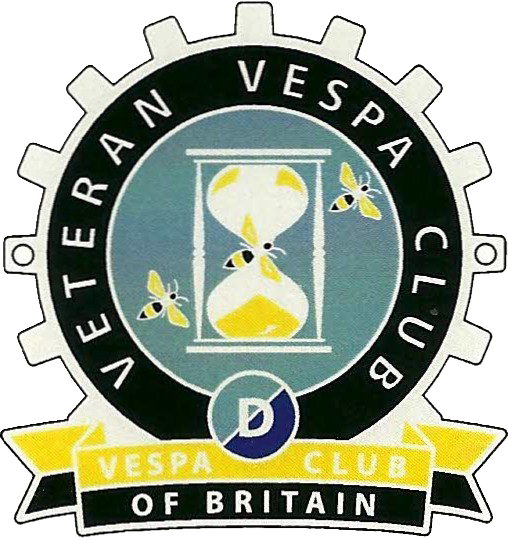 We recommend the regular replacement of Vespa brake shoes. Tests have proven that the softer composition of the SIP brake material wears at a rate similar to, for example, disc brake pads. The SIP Premium and Performance brake shoes provide a noticeable improvement and upgrade of both safety and riding dynamics. They are ideally complemented with a set of SIP Performance brake operating cables. The braking power delivered by this particular combination quickly dampens the desire to fit an ugly disc brake assembly. Both the Premium and Performance lines are available to fit a variety of scooter models, including both Vespa large/smallframes and also Lambrettas! Conclusion : Very little effort for a major reward in braking performance and ultimately, safety!